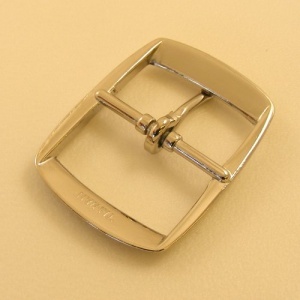 This is a lightweight whole belt buckle, cast from zinc alloy and plated with nickel. Ideal for an economical belt repair, but not suitable for dog collars or high strain use due to lightweight construction. 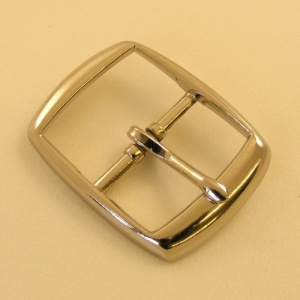 This buckle is sized to fit a 32mm (1 1/4") strap width.